Dr. Tait joined the Aldergrove team in February of 2018. 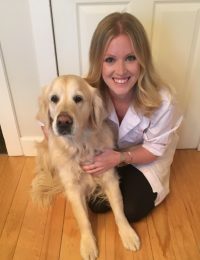 She recently moved back to Ontario after graduating from Ross Veterinary School and completing her last year of school at Cornell College of Veterinary Medicine in New York. 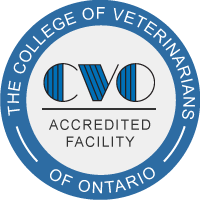 Her special interest in veterinary medicine is preventative healthcare and dentistry. She loves interacting with her patients and getting to know her clients. When she is not hard at work, Dr. Tait enjoys spending time up at her cottage in Huntsville with friends and family, skiing and travelling. Dr. Tait lives in Barrie and shares her home with her pet, Charlee, a rescued Caribbean island dog.